Meet America’s oldest living vet. He drinks whiskey. He’s 108. 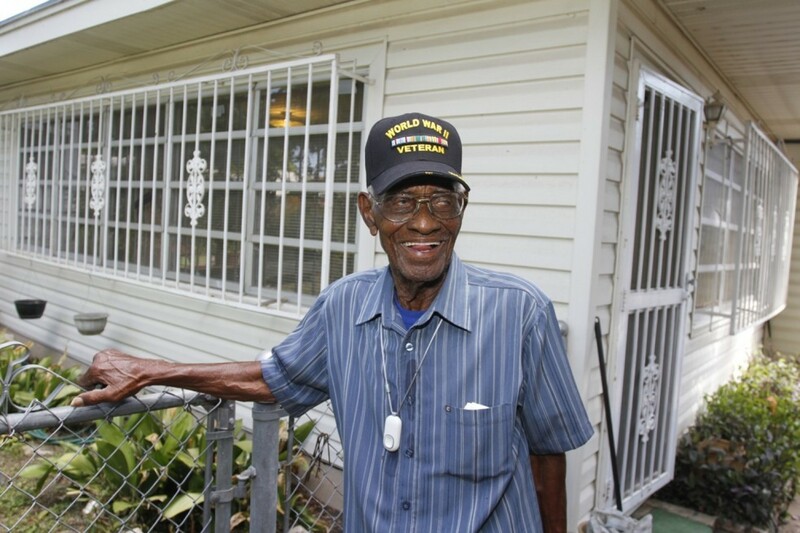 Richard Overton, 108, is thought to be the oldest living veteran in the United States. But he’s as active as ever. On Tuesday, shortly after he served as grand marshal in Austin’s Veteran’s Day Parade, Overton was relaxing on the porch of his Texas home — the same house he bought when he returned from World War II (he paid $4,000 for the house, Austin Fox affiliate KTBC reported in May). Overton used to start his days with some whiskey in his coffee, and he still adds a teaspoon from time-to-time. “It’s just like medicine,” he said. Overton smokes cigars daily, too. “I’m smoking one now,” he said from Austin.